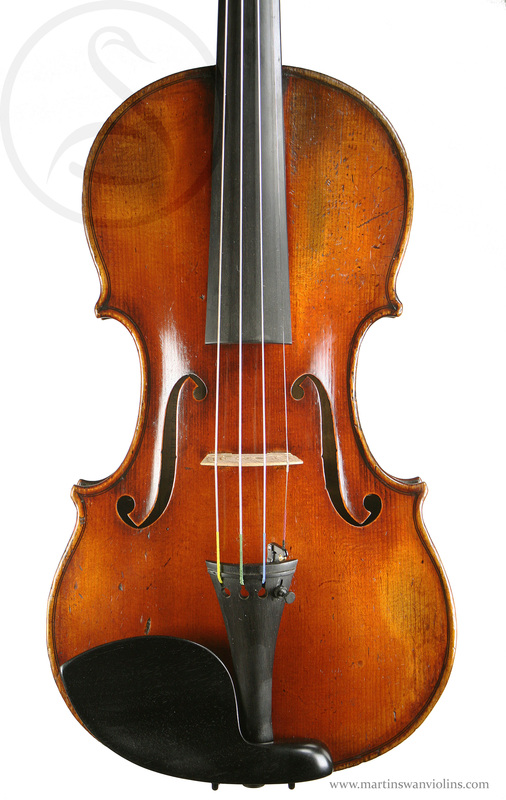 This is a very fine del Gesu copy by one of the most interesting of late 19th century French makers, Joseph Hel. 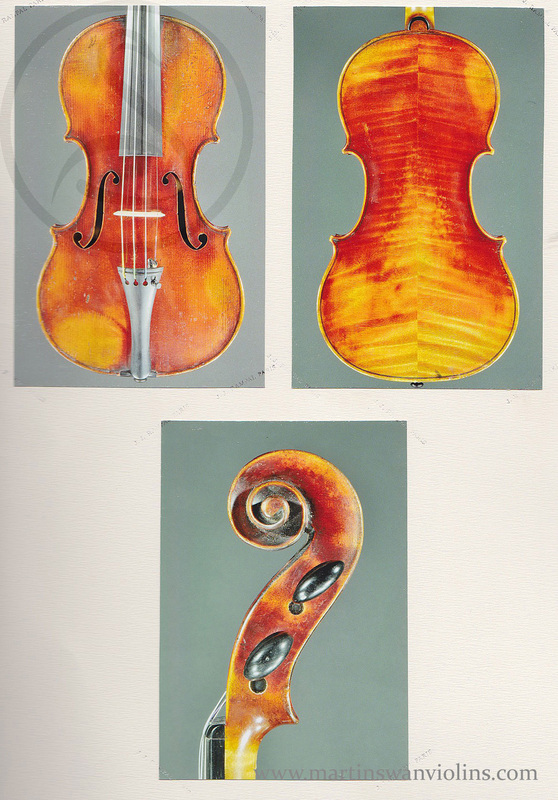 It’s in unusually fine condition with no cracks or damages. 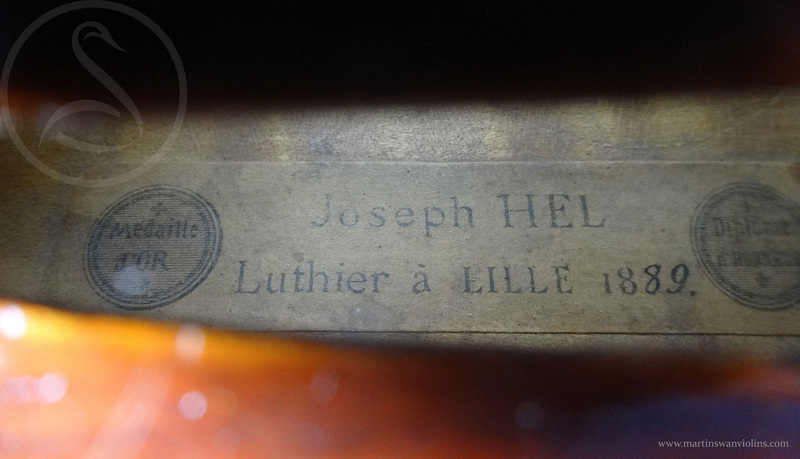 Joseph Hel (1842-1902) learnt violin-making principally from Sébastien Vuillaume in Paris, but from 1865 he was based in Lille, where he was appointed luthier to the Lille Conservatoire. 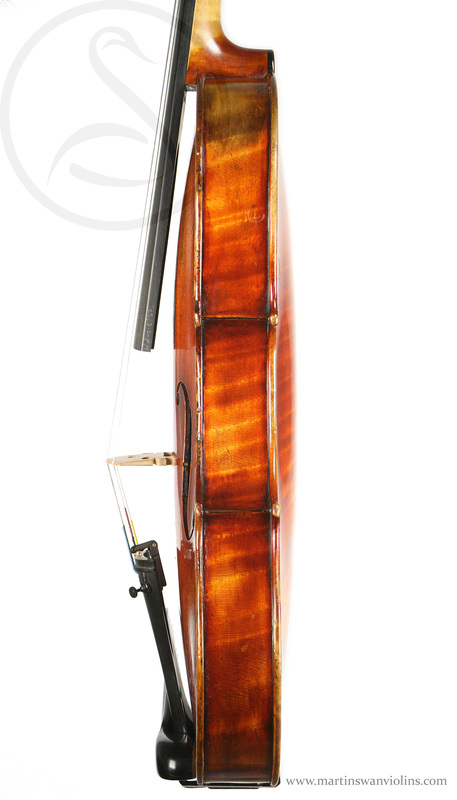 Generally Hel worked to a Stradivari pattern – his Guarneri models such as this one are quite rare and much admired. 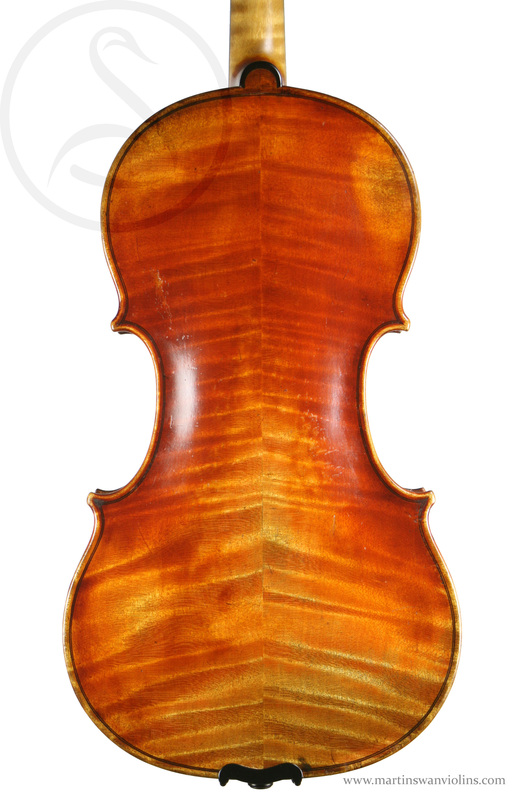 This is a great example from 1889 with a fiery red varnish – there is an internal post patch in the table, otherwise the condition is excellent. 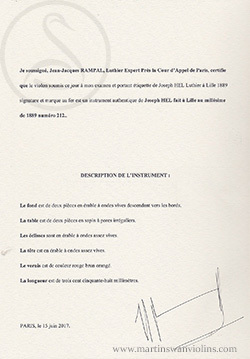 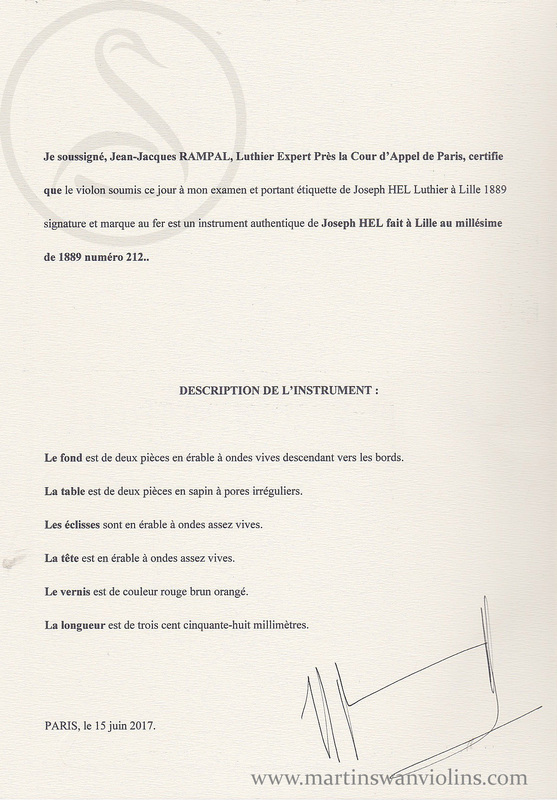 Joseph Hel is one of those French makers whose work is always sublime, but whose mastery of tone is a bit erratic! The Strad pattern violins can be rather stiff, to say the least. However this violin has a great sound, complex and woody, very responsive and delightful. The tone is on the fruity side of clean, slightly dark but with clear articulation, relatively loud but entirely lacking in harshness or stridency. 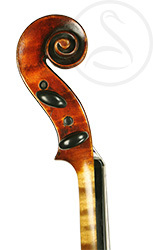 With its mature and sophisticated voice this would be an ideal violin for a chamber music professional.